Krueger served as the chief economist at the Treasury Department until 2010 when he left to go to Princeton as a Bendheim Professor of Economics and Public Affairs. He will be replacing Austan Goolsbee who left the White House to go back to Chicago. 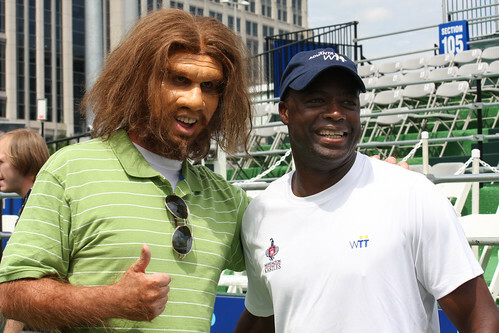 With Redskins superstar Darrell Green and tennis great Ilana Kloss, it was hard to imagine that a former Princeton economics professor would be the breakout star of the first annual celebrity tennis match to benefit the American Red Cross on the final night of the Washington Kastles season. Alan Krueger, Assistant Treasury Secretary for Economic Policy, impressed his team and his media/political opponents — including Senator Evan Bayh, Fox’s Brett Baier, CNN’s Ed Henry and ABC’s Jonathan Karl. Coaching on the sidelines: Billie Jean King and the GEICO Caveman. Bloomberg’s Al Hunt and Margaret Carlson called the game in a Washington version of the Wimbledon voice over. Celebrity ball kids included Patrick Henry (8), David (8) and Rachel (10) Greenberg, Betsy Fischer’s daughter Ella (8), and Jonathan Karl’s girls Anna (9) and Emily (12). Insiders were disappointed that Washington fav Gene Sperling had to cancel his appearance due to meetings, but Kreuger was the tournament’s MVP. 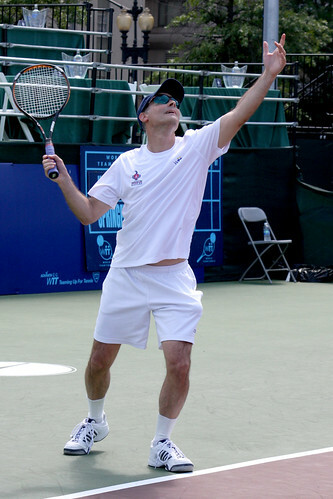 Kastles owner Mark Ein has expanded the reach of the franchise, only in their second year, and with this first-ever charity celeb match has created a new Washington tradition. and check back later for video highlights.